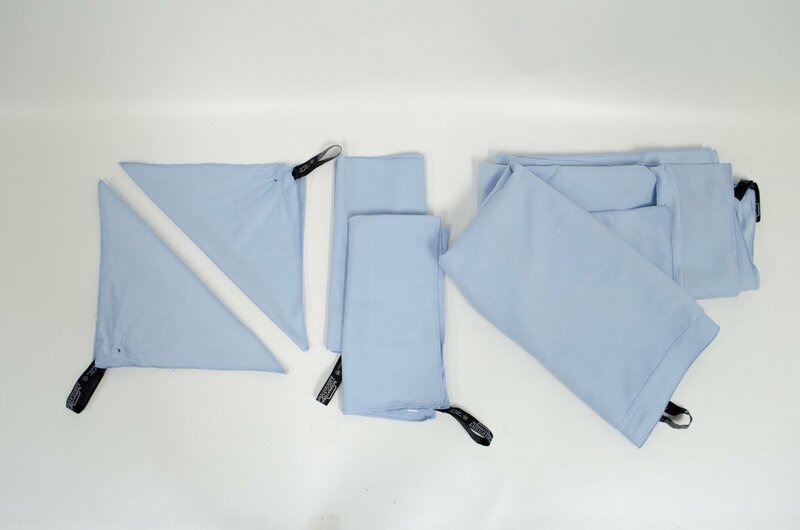 International Luggage Microfiber Towels in a set of 6. Great for all types of travel. Comes with snap strap for easy hang up. Perfect for Missionaries and Travelers! Zippered Mesh Laundry bag 18" x 11"